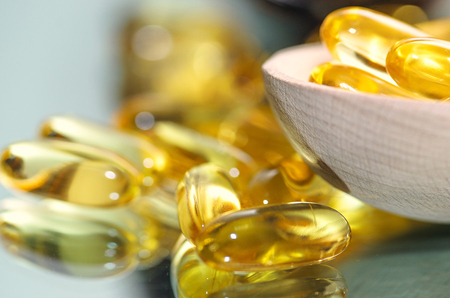 The term ‘Bioavailability’ may sound a bit complicated and the subject not very interesting, but actually it's an extremely important factor to consider when choosing a food supplement. After all, the most expensive food supplement you’ve ever taken is the one you didn’t absorb! Put simply; Bioavailability is the rate at which a substance – which could be a nutritional supplement or a drug – is absorbed into a living system. So why is this important in relation to food supplements? The efficiency with which your system absorbs the key nutrients – vitamins, minerals, enzymes, herbs or botanicals – affects both the speed and level of positive health effects, as well impacting on the cost of your supplement programme. Supplements in liquid, capsule and tablet form are absorbed through the digestive tract into the blood stream to circulate around the body and reach the site(s) of action. Some food supplements are in spray or liquid form and are absorbed through the lining of the mouth, thus bypassing digestion by being absorbed directly into the blood stream. There are two sets of factors at work that affect absorption and bioavailability of food supplements: the form of the food supplement and the health of the body. Nutrients in food supplements need to be in a form that the body can absorb and effectively use (i.e. bioavailable forms). Minerals need to be bound to a carrier (or ligand) to make sure they are in a stable state, can be absorbed and effective at the required site(s) of action around the body. The form of the carrier takes is especially important, as this can affect the mineral’s absorption and bioavailability, as well as impact on the body’s cells, tissues and systems. Organic carriers, so called because they are also found naturally in the body tissues and fluids, including citrates and gluconates, increase absorption and bioavailability of food supplement minerals compared to inorganic carriers, such as carbonates and oxides. In fact, certain levels of calcium carbonates and magnesium oxide food supplements can induce unwanted side digestive side effects such as laxative actions and neutralising stomach acid, not desirable in any food supplement! It’s also worth knowing that calcium carbonate is in fact chalk – a cheap way of supplementing a poorly absorbed form of calcium. Natural forms of vitamins are also highly desirable including methylcobalamin form of Vitamin B12 and methyltetrahydrofolate (MTHF) form of folate. Powders, capsules and liquids require less digestive input, including adequate levels of stomach acid and digestive juices in the small intestines, compared to tablets. This might just make a difference for people with compromised digestive health. Absorption of nutrients through the mouth in the forms of sprays and liquids under the tongue bypasses the need for digestion. High quality ingredients, including any excipients (i.e. selective inert substances that support the production and quality of the final food supplement) are important to look for in a food supplement This includes products such as natural aloe fresh juice, not made from freeze-dried powders, and krill oil from sustainable sources with MSC (Marine Stewardship Council) certification. Some nutrients are more effectively absorbed when combined together, as well as complementing and enhancing each other’s actions. It’s for this reason that you often find bioflavonoids included with Vitamin C, and Vitamins A and C combined with iron, to enhance absorption of this mineral through the digestive tract. The other part of the equation is you. Behind all the science, the key thing here is pure common sense. The sooner you can absorb all the quality nutrients in supplements, the sooner they can start making a difference to your health and energy levels. A good food supplement supplier will be proactive and transparent in the absorption and bioavailability of their food supplements, as well as helping you to choose the right ones to ensure your body can effectively and efficiently absorb and utilise the products. So by taking a little time to understand how bioavailability works, you are that much closer to making informed choices about combinations to suit you!